The Long Shadow of Maximillian Schrems v. Data Protection Commissioner  – What Next for EU Safe Harbour Compliance on Data Transfers to the United States? On October 6, 2015, the Court of Justice of the European Union (ECJ) declared invalid a decision of the European Commission on July 26, 2000 that had, pursuant to the relevant EU data protection law, granted and acknowledged safe harbour for certain United States entities when transferring the personal data of European Union citizens to, and processing and storing that data within the United States. 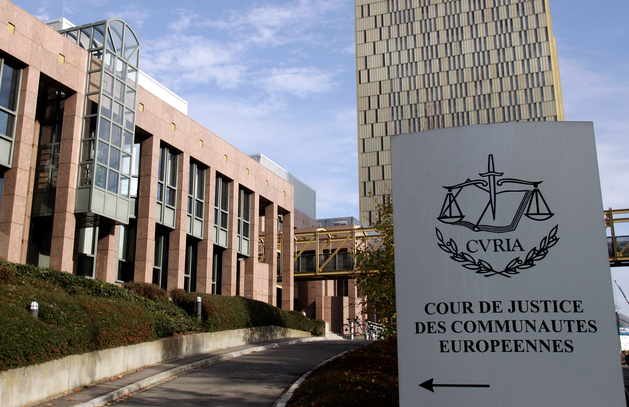 The case had been referred to the ECJ for a preliminary ruling from the High Court of Ireland, with a subsequent non-binding Opinion from the ECJ Advocate General, Yves Bot, that the ECJ eventually followed. The case began when Maximilian Schrems, an Austrian Citizen (and law student at that time), spearheaded a group to file a complaint with the Irish Data Protection Commissioner (DPC) against Facebook Ireland Ltd, which is the company’s European headquarters. When Billy Hawkes, the Irish DPC rejected the case, Schrems and his group sought and were granted judicial review at the High Court of Ireland. Citing pre-emption on the key issues by European law, Mr. Justice Hogan adjourned the case pending referral to the European Court of Justice (ECJ). Those key issues were: (a) whether the Edward Snowden revelations of 2013 revealed such a wholesale (both actual and potential) lack of compliance with European law that the U.S. Safe Harbour provisions with regard to transferring the personal information of European Citizens were essentially invalid; and (b) whether EU member states were bound by controlling EU privacy laws regarding those safe harbours, or free to pursue their own investigations into allegations of privacy breach or other non-compliance as and when needed, and were then subsequently able to suspend data transfers if they violated EU laws and/or EU citizen rights. Advocate General Bot had opined in the affirmative on both of these points, and the ECJ agreed. Essentially, then, the Commissioners agreed to implement a suspended enforcement as they could not retroactively seek or secure any period of suspended invalidity from the ECJ, and nobody had asked for one to be considered on the possibility of such a decision resulting. It would have been interesting to read the ECJ views on Canadian and other such precedent …. Perhaps we’ll read that some other time! For now, we watch as companies scramble to “not” comply with this newly invalid law; we wait for both that national European guidance (whether or not uniform or coordinated); and we follow – to the extent made public – negotiations between the United States and Europe up to January 31, 2016. There may already be light at the end of that negotiation tunnel, as two identical bills – H.R.1428 in the House of Representatives (now passed by the full House), and S.1600 in the United States Senate may eventually grant the United States District Court for the District of Columbia (USDC, DC) exclusive jurisdiction to hear foreign citizens’ privacy breach complaints against federal (not state) government actors of the United States. But, only the President can sign any final version of either Bill, into law. In addition, the matter – now transferred back to the Irish High Court for further deliberations, may still result in a finding that Facebook cannot provide adequate data privacy protections for European citizens. If again referred or appealed to the ECJ, and upheld, Facebook’s European operations might cease under subsequent enforcement actions in one or many European jurisdictions on such a ruling. And so, one way or the other, we wait! Ekundayo George is a lawyer and sociologist. He has also taken courses in organizational and micro-organizational behavior, and gained significant experiences in regulatory compliance, litigation, and business law and counseling. He is licensed to practice law in Ontario and Alberta, Canada, as well as in New York, New Jersey, and Washington, D.C., in the United States of America. See, for example: http://www.ogalaws.com. A writer, blogger, and avid reader, Mr. George has sector experience in Technology (Telecommunications, eCommerce, Outsourcing, Cloud), Financial Services, Healthcare, Entertainment, Real Estate and Zoning, International/cross-border trade, other services, and Environmental Law and Policy; working with equal ease and effectiveness in his transitions to and from the public and private sectors. He is a published author on the National Security aspects of Environmental Law, has represented clients in courts and before regulatory bodies in both Canada and the United States, and he enjoys complex systems analysis in legal, technological, and societal milieux. Directive 95/46/EC of the European Parliament and of the Council of 24 October 1995 on the protection of individuals with regard to the processing of personal data and on the free movement of such data (OJ 1995 L 281, p. 31). A court may strike down legislation or a legislative provision but suspend the effect of that declaration until Parliament or the provincial legislature has had an opportunity to fill the void. This approach is clearly appropriate where the striking down of a provision poses a potential danger to the public (…) or otherwise threatens the rule of law (…). It may also be appropriate in cases of underinclusiveness as opposed to overbreadth. For example, in this case some of the interveners argued that in cases where a denial of equal benefit of the law is alleged, the legislation in question is not usually problematic in and of itself. It is its underinclusiveness that is problematic so striking down the law immediately would deprive deserving persons of benefits without providing them to the applicant. At the same time, if there is no obligation on the government to provide the benefits in the first place, it may be inappropriate to go ahead and extend them. The logical remedy is to strike down but suspend the declaration of invalidity to allow the government to determine whether to cancel or extend the benefits. (Citations omitted). European Commission – Fact Sheet. Q&A: Guidance on transatlantic data transfers following the Schrems ruling. See e.g. supra, note 14.